So bears are just like us. They like hot tubs. 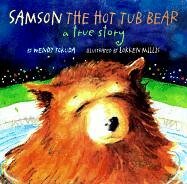 The story goes on to explain that a man was out enjoying his hot tub when a bear suddenly attacked unannounced from behind. Luckily the man regained his wits, yelled at the bear, and it ran into the woods. The man then called the Mounties. The Royal Canadian Mounted Police are one group that hot tub-craving man-swatting bears apparently don’t want to mess with. Let’s just say the hot-tub-attack bear didn’t fare so well once the Mounties got involved. There were no bear attractants around that might explain why the bear was in the area, however it’s been suggested that bears are attracted to the smell of hot tubs as they mimic the smell of ant larvae. Ok, so maybe the hot-tubs-smell-like-larvae theory isn’t as ridiculous as it sounds. 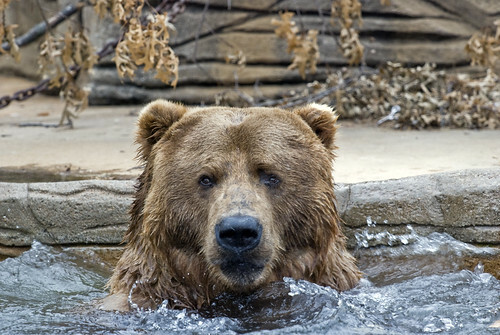 Because this isn’t the first time that a bear has decided to take a dip in the hot tub. This picture was taken in Florida. This bear obviously either wanted to relax, or smelled ants. This bear posed like a Hollywood star as it took a dip in a California pool. 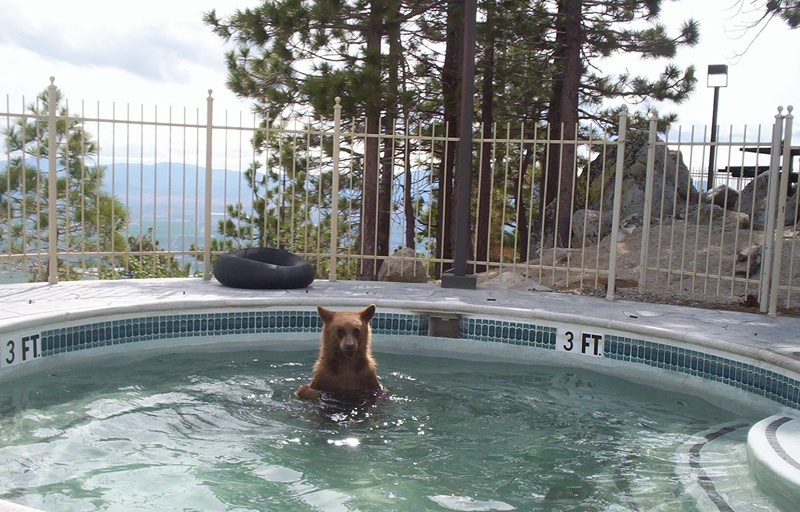 Bear hot tubbing happens enough for children’s authors to take notice. This bear enjoyed a beer in the spa with a friend. This guy has enough hair to be mistaken for a bear. And this bear shows us the poor attitude that some bears adopt as their mantra. 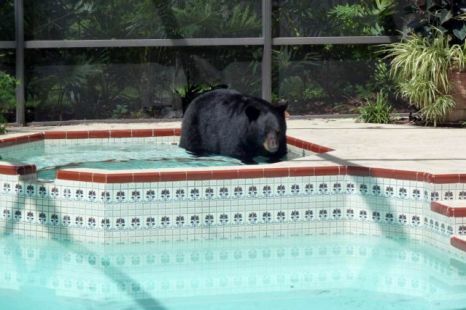 Proving that a bear’s just gonna do what he wants, like soak in hot tubs or kill things. Poor form, Bear, but yeah, I’m not going to stop you. It is generally frowned upon by the Mounties when a bear swats hot tubbers in the melon. Everybody loves hot tubs! Including bears and cavemen. 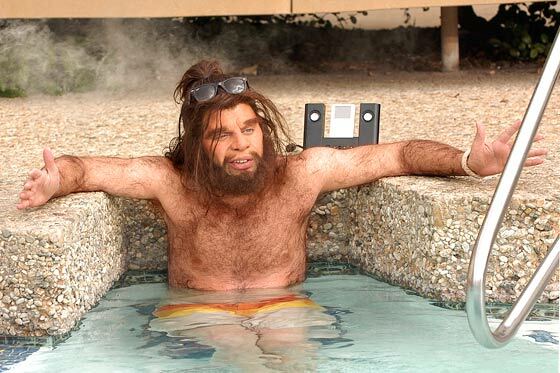 Let us remember it is not frowned upon for you, a human person, to hang out in a hot tub without bears. However, if you live in Whistler, BC, it is probably better not to eat triple pastrami sandwiches or ants in your outdoor hot tub, if you’re concerned about sharing your spa with bears that is. Sidenote: Apparently bear stories are so common in Canada that they publish all the bear stories together as one story. The remainder of this headline reads: “…young bear disrupts ‘Day Out with Thomas’ in Squamish.” This story describes how a young bear just wanted to ride the train (sort of). Normally, I’m not one to anthropomorphize but, dang, these British Columbia bears are just plain hooligans. Cooincidentally, the very next story in this BC newspaper included has this headline: “Man recovering after swerving to miss a bear.” So, apparently bears are basically a huge menace to society in Whistler. Good thing Canada has the fearless Mounties as a countermeasure. You made a comment about hot tub covers not smelling like ant larvae (“I know my larvae”) and I was wondering if I could get you to expand on this – either here or via the email above. I am doing a postgraduate research project into the management of bear attractants and am having issues tracking this information down! My ant larvae comment was in response to a sentence in the Pique Magazine article I referred to in the first link. Your best source for more info may be the author of that article who could potentially get you in touch with their original source.